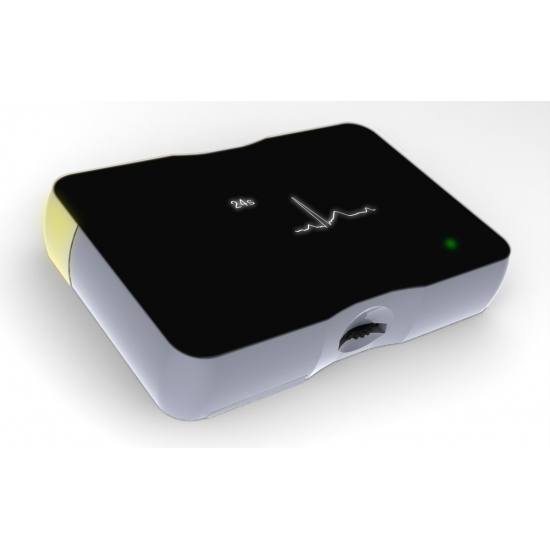 MONO ECG Recorder is an intelligent, multi-function, non-invasive, reliable and easy-operating ECG recorder/monitor. Users can use it to record, measure and monitor their ECG and heart rate by themselves anywhere, anytime and in any movements (including free movement), so that users can evaluate their heart functions promptly and continuously to reduce the risk of serious cardiac accidents. The preset multiple operation modes meet various needs for cardiac recording and monitoring: fingertip/chest touch mode, electrode cable mode, monitor mode, Holter mode, and more. 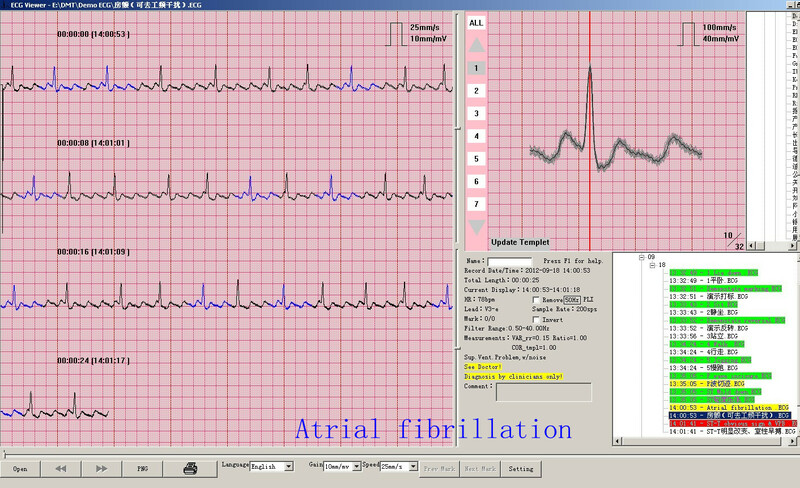 The device can display the ECG waveforms clearly and completely right after recording, which can be stored for further clinical reviews. 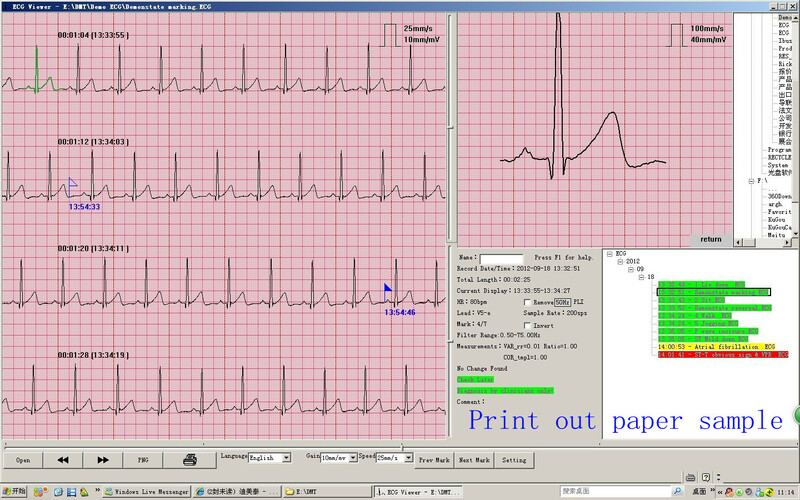 More than 24 hours continuous dynamic recording of ECG data helps capture the cardiac events more effectively. Continuous ECG monitoring in the status from resting to strenuous exercise with audio/visual alarms for detecting abnormal heart rhythms in real-time helps avoid dangerous cardiac overload. 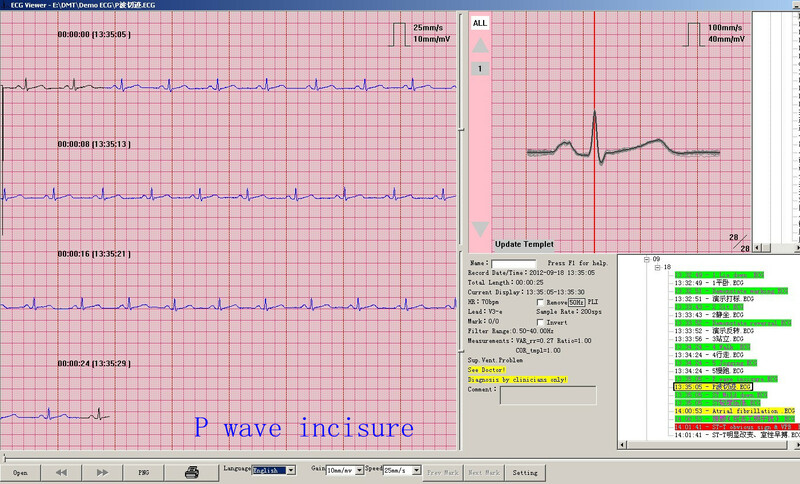 PC program is provided for viewing, managing, and printing ECG data that helps follow-up illness progress. 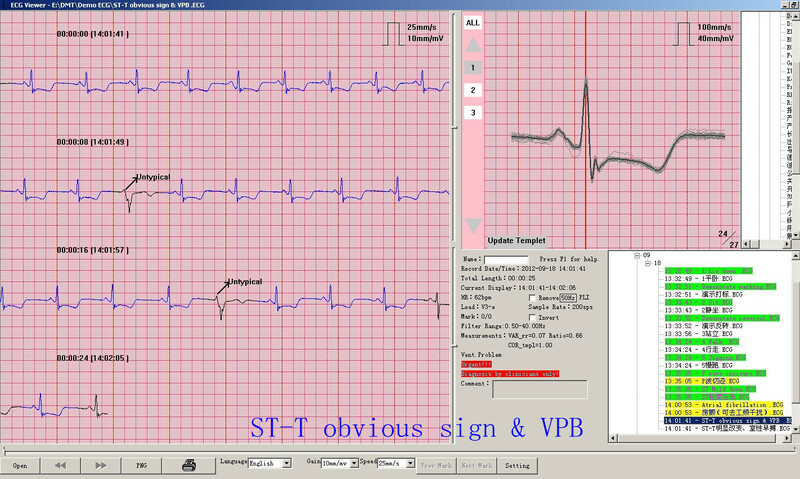 The optional professional ECG software allows clinicians to analyze ECG trend and arrhythmias more professionally and systematically. Ø Capture ECG events without delay when not feeling well at home or at work to provide references for more effective clinical diagnosis. Ø Accumulate regularly the ECG database and track the ECG changes for better control over the cardiac process without hospitalization. Ø Monitor the heart functions anywhere, anytime and in any movements for early precaution to reduce the risk of cardiovascular accident. Ø Suitable for people with coronary heart diseases, hypertension, diabetes, pulmonary heart disease and many other diseases.